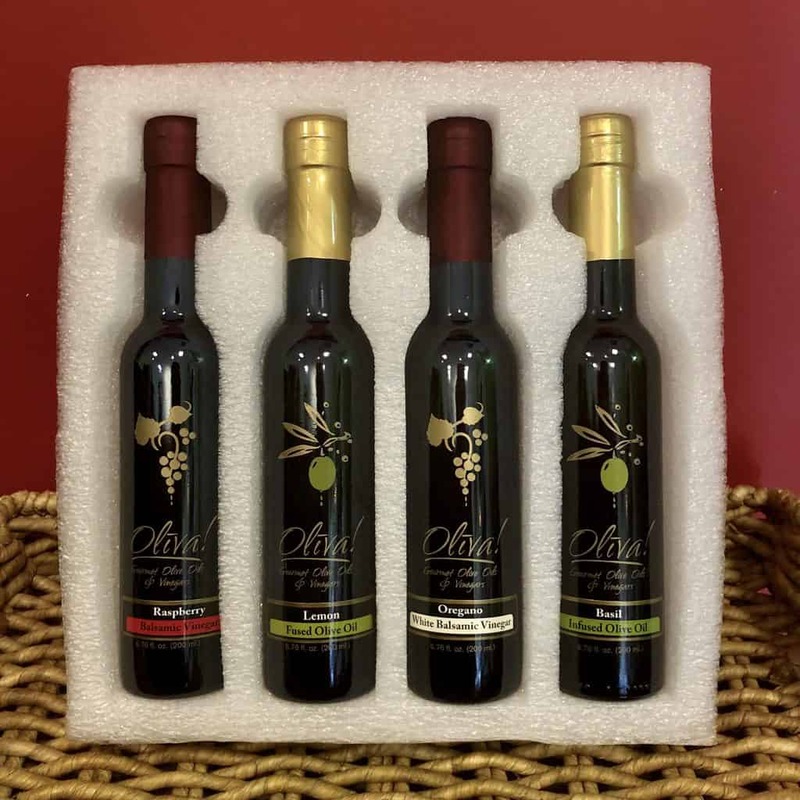 Custom 4-Bottle Gift Set - Oliva! Gift Set includes (4) 200 ml. bottles of your choice from our selection of Gourmet Flavored Olive Oils & Balsamic Vinegars! Gift Set includes (4) 200 ml. bottles of your choice from our large selection of Flavored Olive Oils and Balsamic Vinegars.